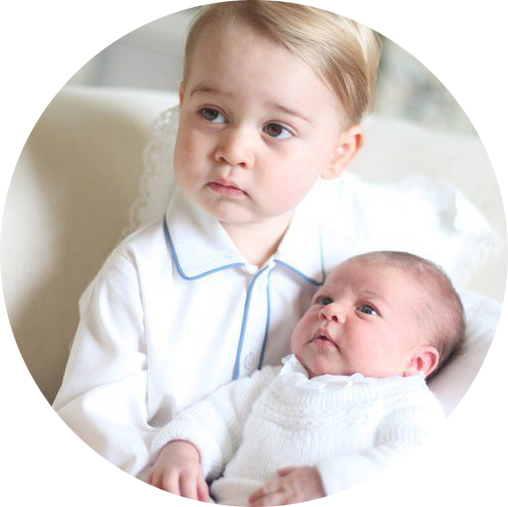 There's nothing cuter than siblings wearing similar outfits, so we've put together some adorable ideas for cute identical looks inspired by George and Charlotte's style. From what to wear on a play date to the royal tours, we've picked three beautiful matching looks for you to enjoy. Being comfortable is at the upmost importance during a play date as they'll be running around all day but don't worry, there's no need to compromise on style! Just like their cousin Mia wore, we think wearing stripes makes for a great play date outfit as it's relaxed yet still looks smart. 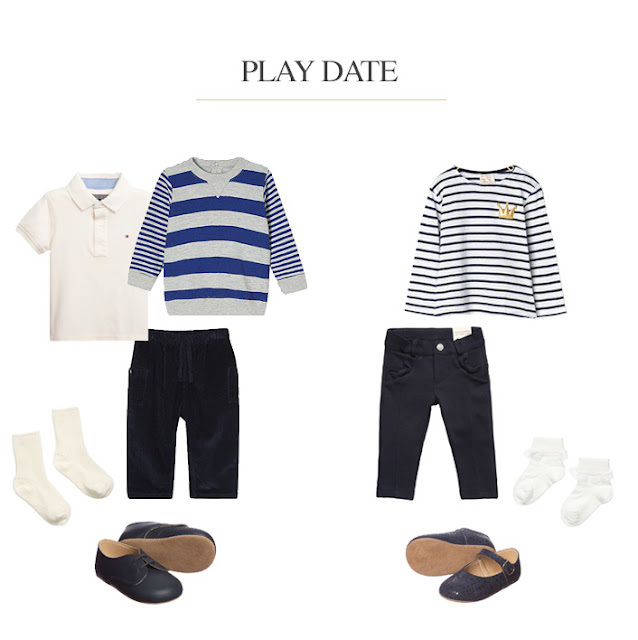 Team with a pair of jeans and comfy shoes for the perfect play time outfit. 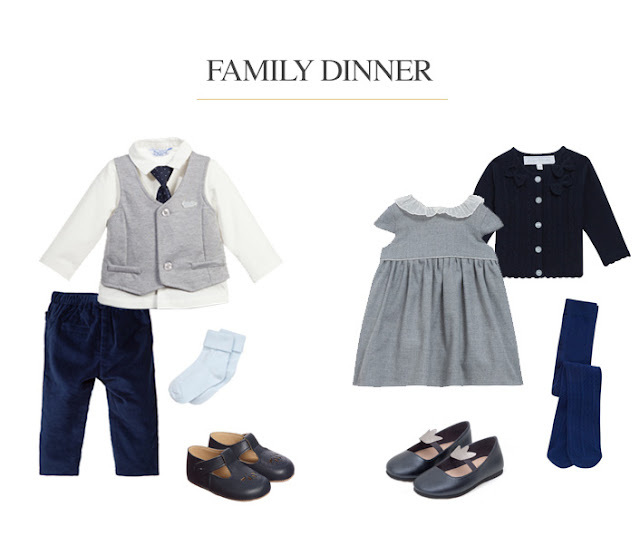 Have you ever wondered what the royals wear when they go for dinner? Here's what we think! 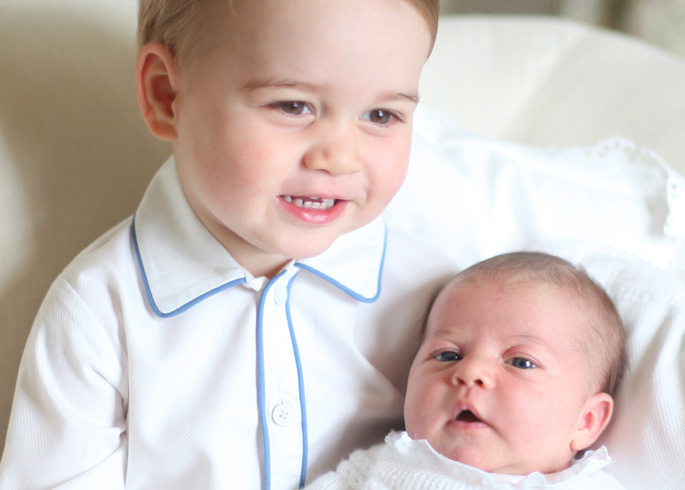 An adorable shirt, trousers and waistcoat combination for George, and a matching grey dress and cardigan for Charlotte. Sweet and sophisticated! For the 2016 royal tour, the Duke and Duchess of Cambridge will be visiting the Caribbean. 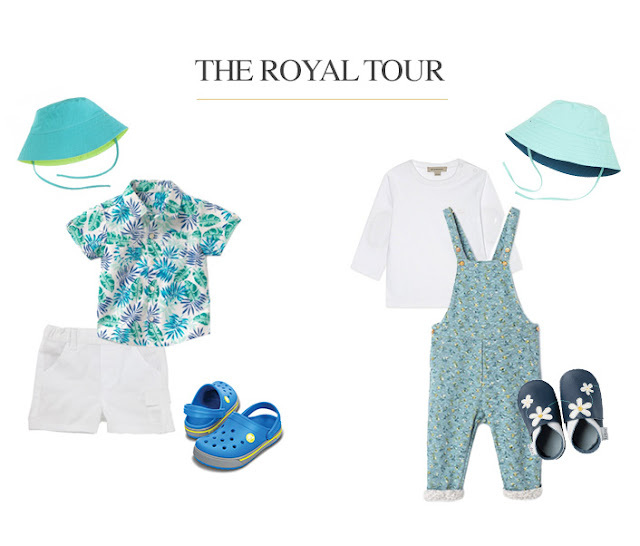 Although it is unclear whether George or Charlotte will accompany them, we couldn't help but dream up outfits we think they'd wear! Tropical florals are a must in the Caribbean sun, just make sure to pair it with white for a refreshing look. Which is your favourite matching outfit?